Unpacking boxes of books has become a bit of a pastime recently. I had not realised that there were quite a few that I packed before we left this side of the moor which remained unpacked for the whole ten years or so that we were 'up north'. That meant there were a few pleasant surprises and none more pleasant than coming across a publication in German which featured two novels: Die Mühle am Fluss (Hattie's Mill) by Marcia and Liebesnest mit Ausblick (Every Woman for Herself) by Trisha Ashley. Anyway, I thought you might like to see the cover so here it is. Another forgotten book was also published in Germany. 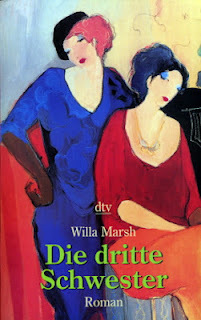 This was a Willa Marsh book Die dritte Schwestter or Sisters Under the Skin. 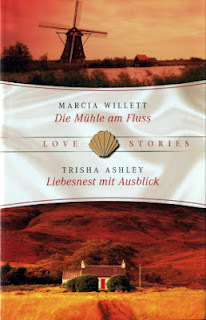 The cover is, I think, wonderful so here you have three different “takes” on the same book: English, French and German. Anyway, that chat made me realise that a lot of people may not understand how ebooks and Kindles work so I thought I would explain. If you know all about them, skip the rest of this section. The Kindle is really a very specialised hand held computer designed to enable you to carry hundreds of books with you in a piece of equipment about the size of a paperback book but very thin. You can buy a Kindle from Amazon or from Waterstones. You can download 'Kindle for PC' onto your computer (PC or laptop) and then register your Kindle to your computer. That way you can order books from Amazon as you usually do but now you would order the Kindle version of the ebook and it is 'delivered' straight to your Kindle. If you want to be able to read it on the computer, you can do that as well. You will find your 'library' (list of books on your Kindle) on the computer and by clicking on a title, the book will download to the computer and (this is quite clever, really) your computer will know how far you have read it on your Kindle and ask you if you want to go to the last page you have read. Then, after reading some on the computer, when you go back to the Kindle you will have the same option: your Kindle and your computer are 'synchronised'. What does all this cost? The main outlay is buying the Kindle in the first place. There are various options: the basic one is £69. With that you will also find you can download for no charge (or pence at the most) old books which have long since gone out of copyright: all of Dickens, Conan Doyle and so forth. Books still in copyright (such as Marcia's) will cost you almost the same as the paperback and, yes, Marcia will receive royalties on the sales of Kindle books in the same way as she does when you buy a normal book. There is no regular subscription: once you have bought the Kindle you pay only for the books you download – which are also available from Waterstones if you prefer to deal with them. So why did I buy a Kindle? The answer is simple: when I was having problems with my eyes I was unable to read books without using a fairly powerful magnifying glass which was, to say the least, a bore. With the Kindle you can choose what size the text is which made reading once again a pleasure. Now, even though things have settled down and I have reasonably good reading glasses, I prefer reading from the Kindle as it is easier than reading a book. The trouble is that I still love books and absolutely need to be surrounded by them but now quite a few of my collection are duplicated on the Kindle so that I have the best of both worlds – at a cost, of course. The downside to ebooks is that this new technology is making life even harder for the small independent bookshops who are struggling against cheap offers from supermarkets and online stores such as Amazon. We do all we can to support them and we hope that you will too. 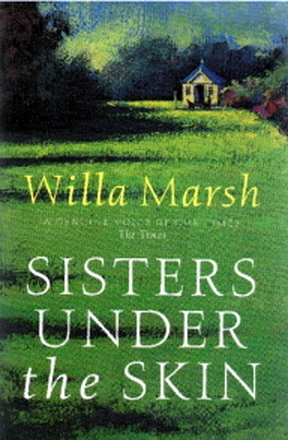 More emails in this week from people very upset – and rightly so – who buy what they thought was a new Marcia Willett only to find that it was one they already had but with a different title. 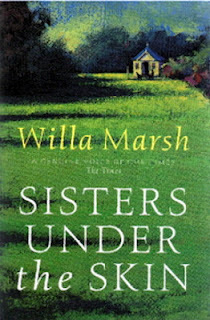 Poor Marcia gets equally upset but the title is up to the publisher. If two publishers, both publishing in English but in different countries decide to use different titles, there is nothing that can be done about it. We try to make it very clear when this happens but there is another dodge that you might find helpful. Except in the case of an author's primary publisher, you will find that on the copyright page (just inside the front of the book) the name of the primary publisher and, most importantly, the title of the book under which it was first published must be printed. The same thing applies to sites such as amazon.com in the US where Those Who Serve was published under the title First Friends. If you go to amazon.com and search for Marcia Willett and then click on the cover of First Friends there will be nothing on that page to warn you. 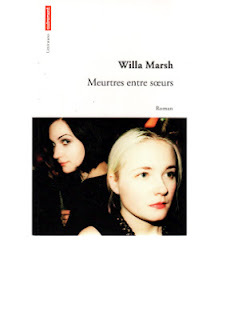 BUT, underneath the book illustration will be a link: Search inside another edition of this book. Click on that and to the left you will see another link: Copyright. Click on that and scroll down and there it is: First published in Great Britain by Headline Book Publishing, a division of Hodder Headline plc, as Those Who Serve. I know it is a bore but if you live in the US and are thinking of buying any book first published in the UK – or the other way round – it is worth checking out as above before you buy. If the first link (Search inside another edition of this book) isn't visible then there isn't a problem. There is no real reason for this picture except that this is Sea Garden country. 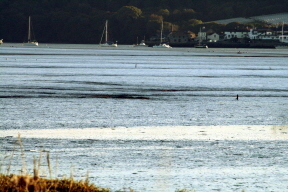 It was taken late one evening looking over the River Tamar from the Devon side with the village of Cargreen, in Cornwall, sitting in the shadows. The tide is creeping in and it is as if everything is holding its breath for there is a deep silence: a silence that was broken by the call of a lone gull flying overhead. Seconds later a tractor drove along the road behind us and the moment passed. Time for a mug of rejuvenating coffee. Marcia has said she will write something for you next week.